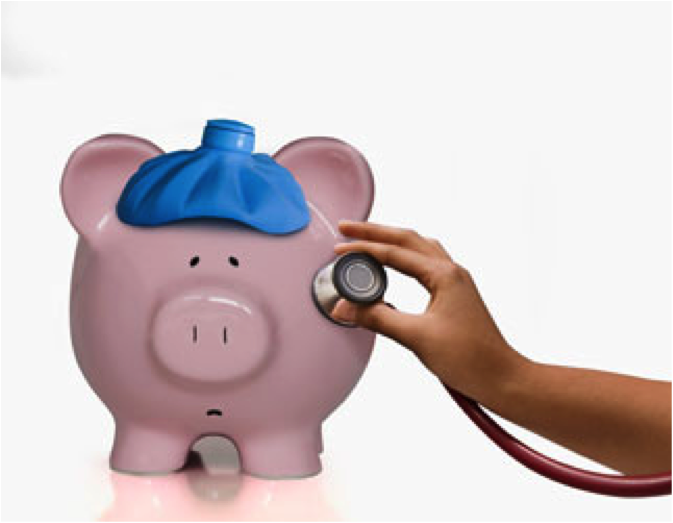 When Was the Last Time You Had a Financial Checkup? One of the best things you can do for your finances is to periodically check your financial health. It’s always a good idea to evaluate your finances, and recognize where you are in terms of financial health — and figure out where you want to go from here. Net Worth: It’s not a bad idea to start with your net worth. Your net worth offers a snapshot of where your finances are right at this moment. As a result, it can make a good starting point. Look at your current net worth, and compare it to your net worth from your last checkup. This can give you a general idea of what direction you are headed financially, and can give you a warning that you might need to make some changes. Financial Plan: Next, review your financial plan, and your overall financial goals. Are you on track? Is your financial plan still helping you reach your goals? Or have things changed enough that you need to make tweaks to your financial plan? If you have moved off course from your financial plan, now is a good time to get back on track. Recognize what you need to do to bring your spending and saving back in line with your long-term financial goals. Investments: Consider your investment accounts. Does your asset allocation still make sense? Has your allocation drifted away from what you want? Review the fees you are paying as well. If you have investments that are racking up the fees for you, consider switching things up. It might also make sense to consolidate your investment accounts in some cases. If you would like to set up a no-cost consultation with the Investment & Retirement Center** located at First Financial to discuss your brokerage, investments, and/or savings goals, contact them at 732.312.1500. Spending and Saving Habits: Don’t forget to consider your spending and saving habits. Have you moved away from your savings goals? What about your spending? Have you stopped following your spending priorities? Re-establish your financial priorities, and make sure your spending is in line with what you prefer. Now is also a good time to review your tax liability, and look for ways to reduce your taxes before the end of the year. Part of your financial checkup should also include a look at the deductions and credits you might be able to add in before the year ends, whether it’s buying business equipment or donating to charity. An annual review of your financial situation is a good idea. You can catch problems — or even just see where you might have become lazy with your finances. A financial checkup can help you identify areas for improvement, and you can make a plan to boost your situation. Here at First Financial, we encourage our members to come in at least once a year to sit down with a representative at any one of our branches to make sure you are currently placed in the correct Rewards First tier for you, and also that you are receiving the best value, products and services based on your financial situation. Give us a call or stop in to see us today! *Liberty Mutual is an insurance service available to members and is not a product of this credit union. **Representatives are registered, securities are sold, and investment advisory services offered through CUNA Brokerage Services, Inc. (CBSI), member FINRA/SIPC, a registered broker/dealer and investment advisor, 2000 Heritage Way, Waverly, Iowa 50677, toll-free 800-369-2862. Nondeposit investment and insurance products are not federally insured, involve investment risk, may lose value and are not obligations of or guaranteed by the financial institution. CBSI is under contract with the financial institution, through the financial services program, to make securities available to members. CUNA Brokerage Services, Inc., is a registered broker/dealer in all fifty states of the United States of America. This entry was posted in Financial Advice and tagged Financial Advice, Financial checkup by Marketing Coordinator Nicole. Bookmark the permalink.